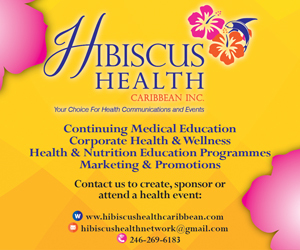 To report corrections or clarifications, contact Editor by e-mail accuracy@caribbeanmedicalnews.com. Please indicate whether you’re responding to content online or in the newspaper. 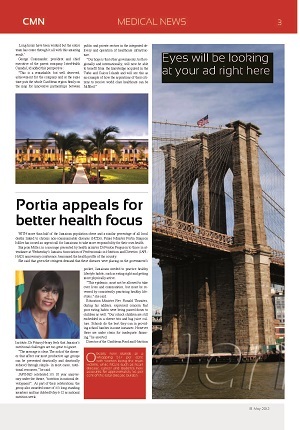 For print consideration, e-mail letters@caribbeanmedicalnews.com , or mail to CMN P.O. Box 4899 St. Ann’s. Trinidad, West Indies. Letters are edited for accuracy, clarity and length, and comments of 300 words or fewer have best chance of being published. Only comments that have not been submitted to other news sources and that include a verifiable name, address and day & evening phone numbers can be considered for print.